The Taming of the Shrew has always been one of Shakespeare’s most controversial plays. In Vinegar Girl, the best-selling novelist Anne Tyler tackles the same subject and gives her own version of the famous story. She describes the life of a modern, working girl, Kate Battista, who is stuck at home looking after her old father, a retired scientist, and her younger, spoiled sister. The father has been working for years and is on the verge of a breakthrough in his research, a project that could help millions. The problem is that his young lab assistant has reached the end of his stay in Canada and is about to be deported to his home country, Russia. Dr. Battista has an outrageous idea that would enable his assistant to stay in Canada. Needless to say it involves the strong-minded Kate. This book tells how everyone becomes slowly accustomed to the idea of a wedding. 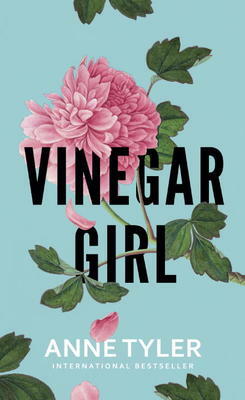 By the end, the vinegar girl has become quite tamed – not unlike the shrew before her.